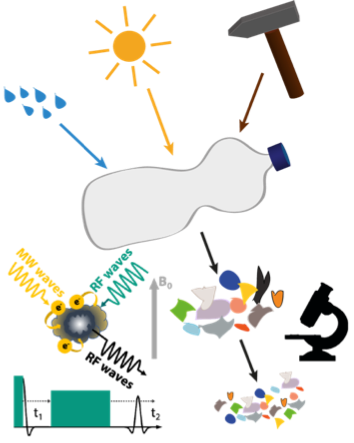 Here we investigate the formation of microplastics (MP) from macroscopic plastic parts and its further decay due to the simultaneous exposure to UV radiation, water and mechanical forces. For this purpose, various plastics are aged by accelerated weathering. In this project, you will be responsible for the structural characterization of plastic samples as function of the progressive aging. By working in an interdisciplinary team, your findings will be correlated with data of morphology and mechanical properties of the particles. The greater goals aim at unravelling the degradation mechanisms of MP in natural environments and at developing solutions for novel, environmentally friendly plastics.